FHSP came into being in 1995 after a fire destroyed what once was Cheltenham High School complex. 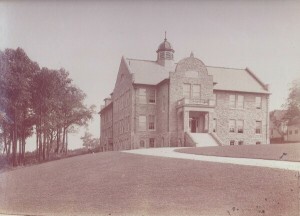 The four buildings which were located at what is now the meadow had been home to the township high school. Later it became a township junior high school, and later still a religious day school. The first building was originally built in 1904. Additional structures for the high school were built in 1928. The Industrial Arts Annex was constructed in 1932, and the gymnasium in the 1930’s. The property was abandoned in the mid-1980s after a private developer bought it with the intent of turning it into a planned senior citizen residence. However, the buildings soon became dilapidated, and a spectacular fire gutted the main building. 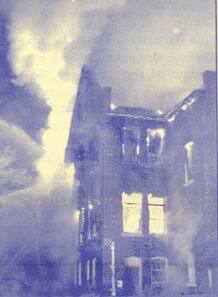 After the fire, a committee formed to represent the concerns and interests of the neighborhood. When the developer failed to build the senior citizen center, the group became a major advocate for turning the abandoned property into a park. This committee formally incorporated as the Friends of High School Park (FHSP) in May of 1995. The 11+acre property of the high school was purchased by Cheltenham Township under Montgomery County’s Open Space Acquisition Program. The newly incorporated group worked to form a visionary plan to turn the property into a local park. The fire that destroyed the high school building. The Township agreed to FHSP’s visionary plan for creating a public space. It is devoted to restoring the native plant communities once found here. FHSP has worked hard to enhance the native ecology of the park. Additionally, the park serves as a valuable educational resource to local schools and a gathering point for the community. To help raise money for this huge effort, FHSP created Arts in the Park, our annual crafts and music festival, which continues to be a beloved tradition in Cheltenham. Other events such as Winter Warm-up, Workday Weekends, and various workshops help to maintain FHSP’s efforts in enhancing and stewarding this township park. Please join us!